Call us now at Air Duct Cleaning Cypress to schedule your cleaning and maintenance appointments. We have certified personnel who can do the job, quick and easy. We accept reservations for future bookings and as well as immediate servicing, so you can conveniently choose when to have the clean-up done. Having a well maintained air ducts at home and inside office premises is an important factor to consider for a healthy indoor environment. In order to have a well sustained air ducts; order the services of Air Duct Cleaning Cypress now. Contact us today for an instant appointment. It is hard and often even impossible to see the contaminants in the ductwork of the HVAC system, but you can feel irritation in your nose and throat and unpleasant odor. 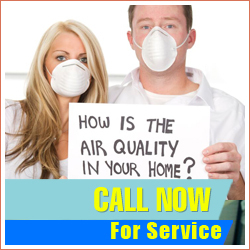 Let us resolve the problem for you with our professional air duct cleaning services. Our solutions are all-encompassing and include air duct repair or replacement when required plus full sanitizing of the surfaces. After the job is done, you will have clean ductwork which is properly protected from future contamination. Count on us to make further improvements to the work of the HVAC system through condenser unit cleaning and air filter replacement. Perfect results are achieved in very little time. Our dryer vent cleaning and repair services are equally effective and reliable.